When the property above was being constructed, local contractors contacted DeNeve Construction to assist in the installation of the roof. DeNeve worked with the contractor and homeowners to choose CertainTeed presidential aged barkwood, a shingle with slight color variations to accent the differentiated brick tones. The homeowners for this property requested a quote from DeNeve Construction when an insurance claim warranted shingle replacement. 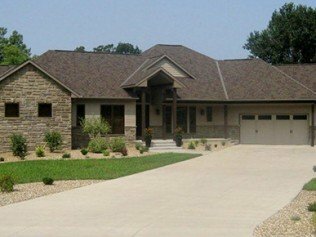 Upon project approval, DeNeves team of professionals came out to the property, removed the damaged roof and replaced them with high-quality, weathered wood-colored Timberline shingles. As a result of a hail storm, the property above received significant damage to their roof. Luckily they had invested in a shingle brand that allowed them damage coverage for their roof. The homeowners contracted DeNeve Construction to come out and remove the old roof and replace it with GAF Timberline shingles. By replacing their roof, the homeowners no longer worried about the advanced aging and potential leaks the hail damage may have caused. The homeowners chose a barkwood colored shingle. 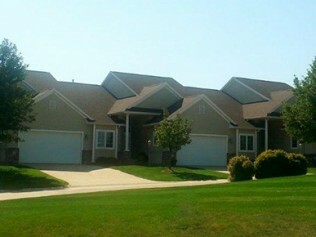 Following a hail storm, owners of this complex contacted DeNeve Construction to replace their damaged roofs. The DeNeve team came out to the property, removed the old roofs one by one and replaced them with GAFs Timberline Pristique Shingles. The new roofs restored the condition of the condos and provided a consistent look and quality across the attached complexes. 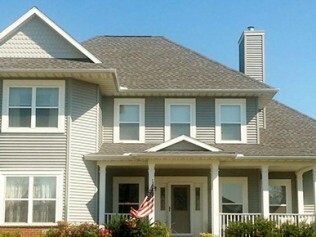 DeNeve installed barkwood colored shingles to compliment the condo exteriors. 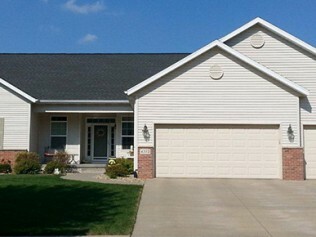 Homeowners of the property above contacted DeNeve Construction when their insurance claim granted them a new roof. 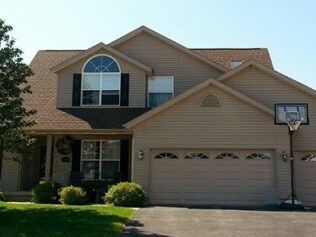 DeNeves team removed the flawed shingles and replaced them with GAFs Timberline shingles. The new shingles and craftsmanship provided the homeowners with a quality roof within a days time. DeNeve Construction installed slate Timberline shingles to the property above when its current roof was needing replacement. DeNeves team tore off the aged shingles and replaced them with new. With DeNeves craftsmanship guarantee and GAF shingle warranty the homeowners of this property will have a quality roof for decades to come. 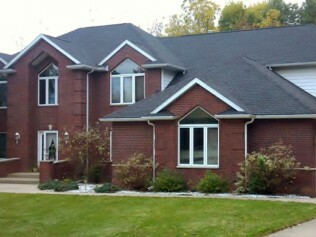 DeNeve Construction was contracted to replace the roof for this property after an insurance claim approved replacement. DeNeves team removed the roof and replaced it with GAFs Timberline charcoal shingles. 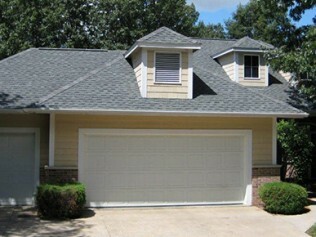 The new shingles and craftsmanship provided the homeowners with a quality roof within a days time. When their name brand shingles were failing, the owners of this home contacted DeNeve Construction for a replacement. DeNeve came out to the area for an analysis and recommended GAF brand shingles for the new install. The team installed a high quality system that provided better protection and coverage of the owners investment. The owners chose a charcoal Timberline shingle for the finished style.